On the home page of KetMo.com is the Domain news that KetMo.com and Famous Four Media have signed a letter of agreement that KetMo.com will be the exclusive broker for select super premium GTLD domains bewing offered by Famous Four Media subject to FFM approval. Famous Four currently has three GTLDs live .bid, .trade, and .webcam. 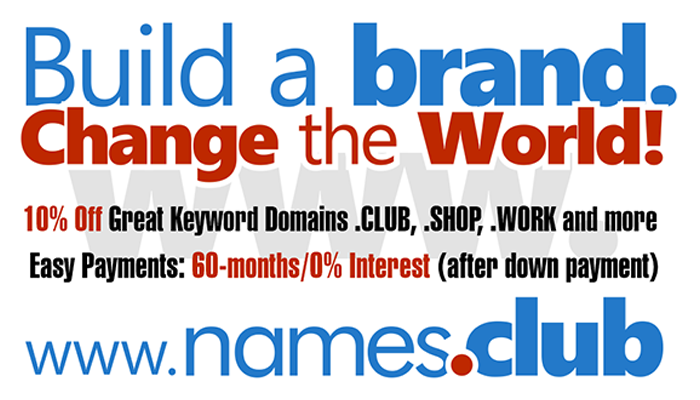 I need your help to suggest which names in these three .gtld extensions that you feel qualify as super premium. Please send your suggested names to us at contact [AT] ketmo.com. We will review all suggestions to use in helping us determine which super premium domain names we should request FFM let us become the exclusive broker for. Did you register your .WEBCAM at GoDaddy.com?